Modified bitumen is a transitional roofing material. It’s a cross between built-up roofing (BUR) and single-ply membranes. Modified bitumen roofs were introduced in the 60s, which immediately gained traction because many property owners dislike the smell, heat, and mess associated with BUR. Durability and ease of installation are two of the main selling points of a modified bitumen roof, combining the best of BUR and single-ply systems. Modified bitumen membranes are applied in wide overlapping rolls. Each section is adhered to the next by many inches to produce large seamless areas. When installed improperly, voids can quickly form in lapped sections. Moreover, thermal expansion and contraction can put enough stress on the membrane to lose its weathertight seal. It’s imperative to schedule roof repair to address minor seam defects to keep worse from going worst. CQ Construction and Roofing knows that modified bitumen membranes tend to have blisters, which develop when moisture penetrates the material. Blistered areas are beyond repair and they require replacement to get rid of entry points for water. That said, getting fresh membranes doesn’t solve the real issue. Identifying and addressing the source of moisture matters to prevent blistering from recurring. Punctures are a product of abrasion, which is likely to develop if your flat roof is easily accessible. Foot traffic can damage perfectly good modified bitumen membranes. If you have HVAC equipment on your rooftop, the vibrations produced by the machine can cause mechanical fasteners to back out and puncture the membrane. In addition to limiting human access to your flat roof, observing regular roof inspection is key to spotting punctures soonest. A qualified roofer can seal most punctures, but the repair must be done early to prevent water leakage. 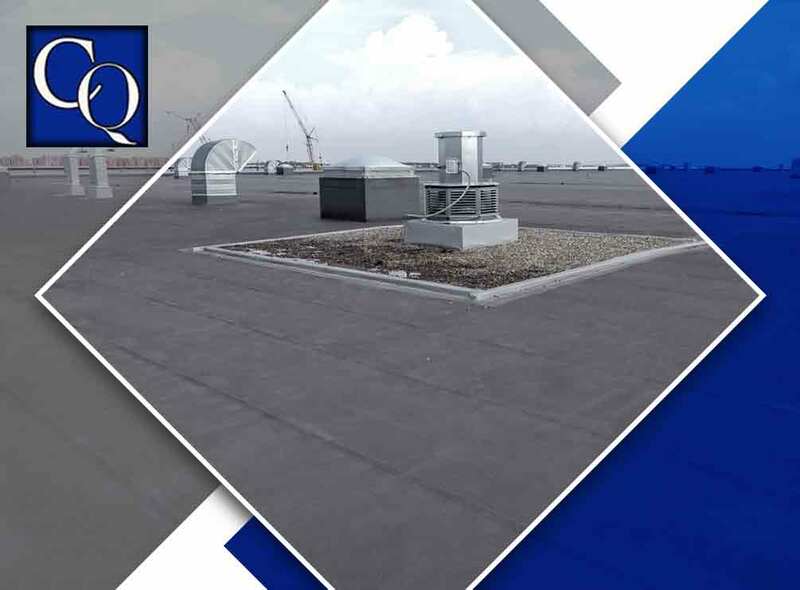 Let CQ Construction and Roofing handle the upkeep of your modified bitumen roof. Call us at (850) 634-4007 to talk about your roof maintenance needs in Fort Walton Beach, FL and get your free estimate.